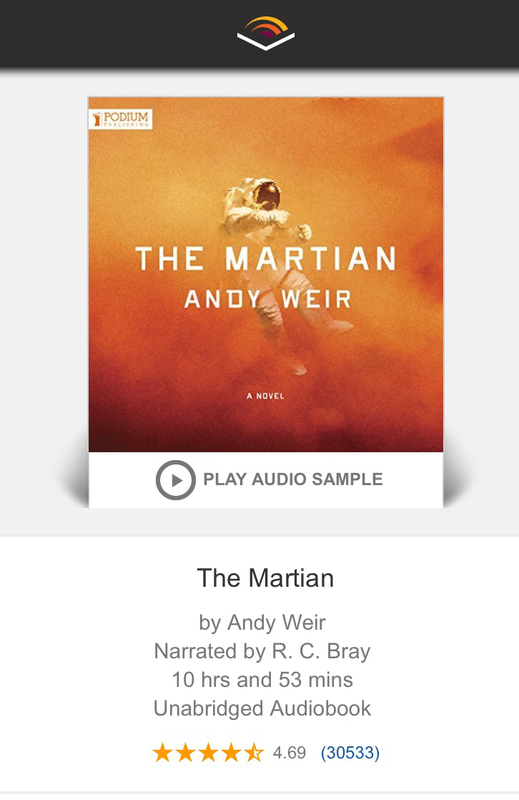 I like audio books. Easy on the eyes. Accessible while driving to and from work. Multi-tasking friendly. 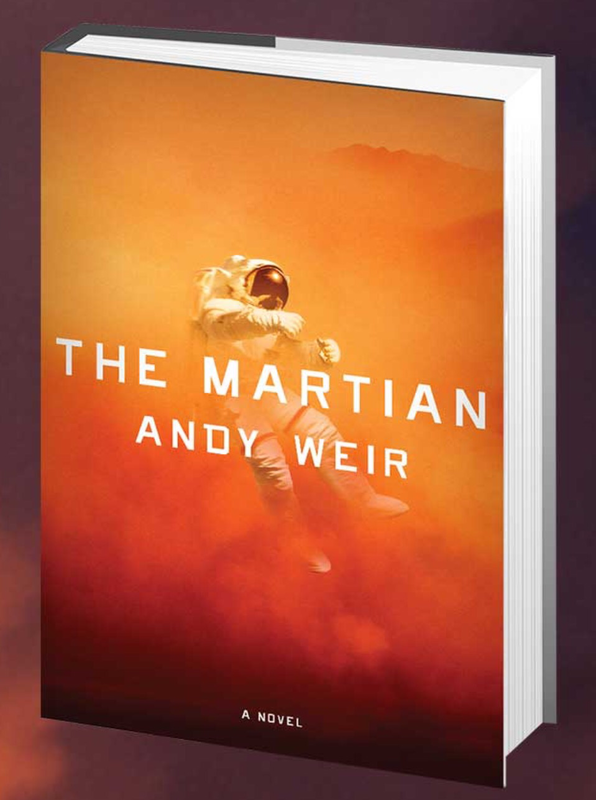 The Martian is in the same class as Apollo 13, Castaway, and Gravity. It is a satisfying survival/rescue story replete with lots of techie goodness, human compassion, bureaucratic assholery, and will-to-survive. Prior to seeing the movie trailer, I was unaware of this book. The movie, directed by Ridley Scott and starring Matt Damon is looking better and better. It’s nice to see you. I’ve missed you! Dad loves audiobooks because he drives so much. Mom likes the paper kind. Woof!